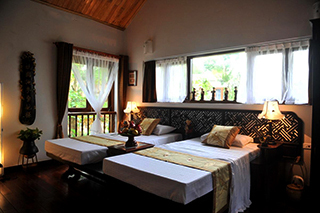 Moon Garden Homestay is located about 1 and a half hours from Hanoi, in northern Vietnam. 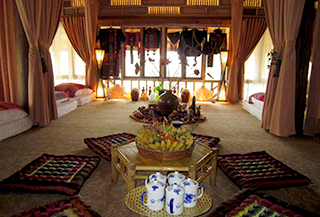 The rooms are different from regular hotels: they are actually traditional houses that were built according to ethnic groups’ architectural customs. They are mostly made of wood. 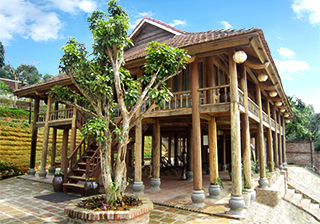 One of them is a stilt house. You can also find an ancient church that was meant to be deconstructed but which the hotel bought to reassemble it and show visitors interesting remnants. 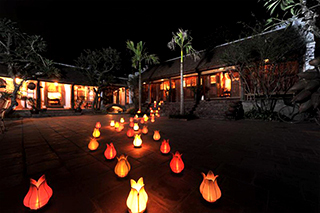 Moon Garden Homestay is a quiet place, at the heart of lush nature and close to Vietnamese villages such as Duong Lam, Dong Sang and Cam Lam. 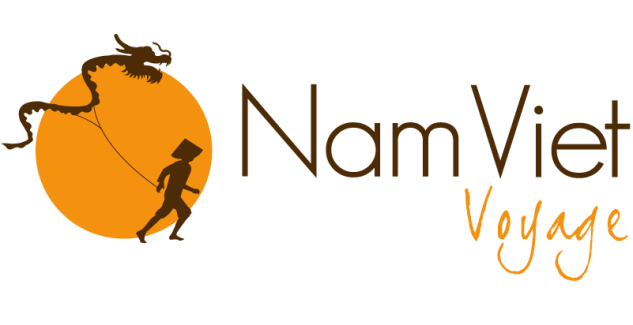 While there, guests may join cooking classes and Yijin Jing classes, a smooth Chinese martial art that combines body and mind work out. Bicycles are also for hire because the surroundings are great to take a ride. For those who feel like relaxing, you might want to get a treatment at the hotel spa. Besides, it is also possible to work in the fields, to meet the villagers and to go fishing in the river.